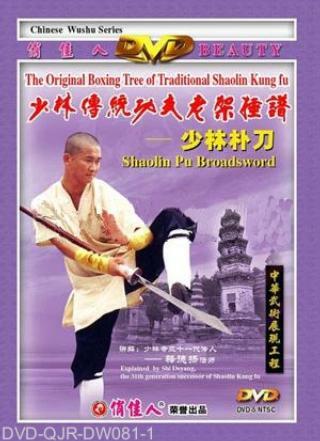 Shaolin Assault Sabre (Shaolin Podao) also called Double-hand Sabre, is classified as one kind of Shaolin long weapons. It has not only the power and fierce of a sabre, but also the techniques of a staff and spear. As it possesses the benefits of several weapons in addition to being handy and easy to carry, was most welcome by bawcocks in the ancient time. • Podao (literally: assault sabre) was originally an edged military weapon which is still used for training in many Chinese martial arts. The pudao is also known as the horse-cutter sword since it was used to slice the legs out from under a horse during battle.